Regardless of why you bought it, there's only one way to eat radicchio. Grill the hell bitterness out of it. Pick a deep red radicchio with unwilted leaves. In my experience, the fresher it is, the less bitter. Remove outer floppy leaves and quarter. Rub gently in olive oil and grill over a hot fire until it's cooked and charred and generally pretty appetising. Have a glass or two of wine, just in case. 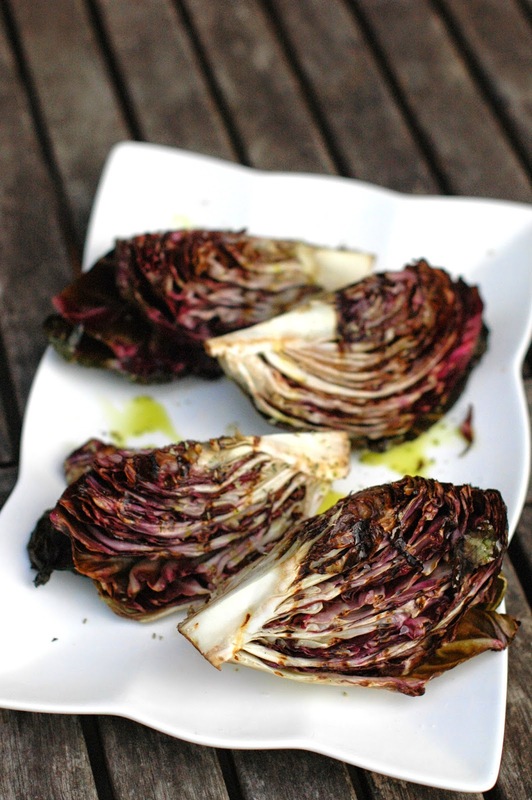 Remove the radicchio from the BBQ, douse in extra virgin olive oil, a squeeze of fresh lemon, and Maldon sea salt flakes. A sprinkle of Greek oregano or fresh black pepper is optional. Carve up and enjoy. If you're lucky, it's sweet and delicious. If not? Drink more wine.